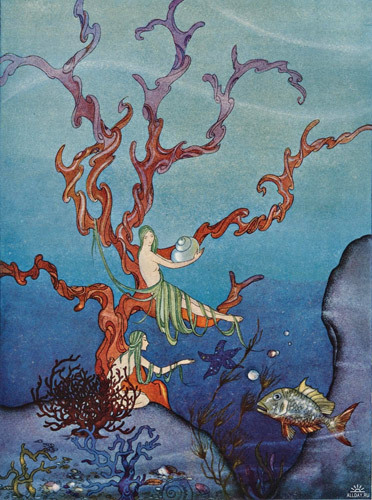 Virginia Frances Sterrett was born in Chicago Illinois, in 1900. 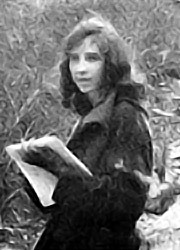 When she was still very young , Virginia and her family; her mother and her sister Mary Sterett, relocated to Missouri to be nearer to other relatives when her father passed away. Eventually moving again to Kansas she spent most of her upbringing in these areas. She started to make pictures when she was only two years old and had just learned to hold a pencil. Henceforth she would spent most of her time making pictures or daydreaming about imaginary worlds and making up stories in her head. When she, seven years of age, entered grammar school she was a bit introverted and would rather draw than spend much time with her school-mates. One time several years later when her family visited Virginia’s aunt in Topeka, Kansas , some of Virginia’s friends told her to bring some of her posters to the Kansas State Fair Exhibition. She won three first prices and one second price, even though she had never contested with her pictures before. She would later call this as one of the major uplifting moments of her life which encouraged her to focus further on honing her drawing skills. The Sterretts went back to Chicago in 1915 and Virginia went to high school there with plans to study art there as well. 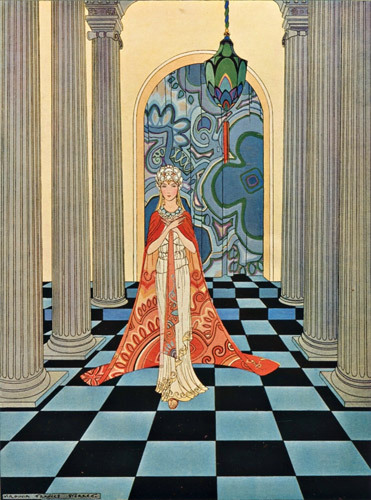 She later did some work for advertisements for a local store and one of her clients was so amazed by the Virginia Frances Sterrett posters and introduced her to the Art Institute of Chicago. She did not even have to pay the tuition but was admitted to the school anyway since the management saw great potential in her. However, only fourteen months had passed when her mother became ill and with a decision to aid her family she had to leave the Art Institute. All the while, Virginia, who now became the sole support of her family, continued to work for a number of art related agencies in Chicago over three years time but then her own health began to fall and she was eventually diagnosed with tuberculosis. 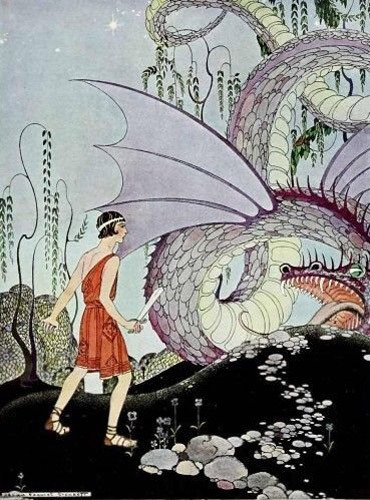 In 1919, when Virginia Frances Sterrett was 19 years old, she received a commission by ‘Penn Publishing Company’ to draw pictures for old French fairy-tales by Comptesse de Ségur. 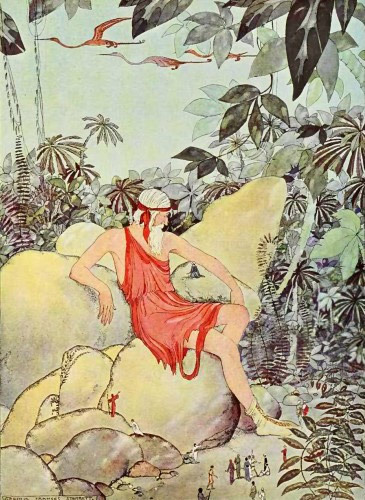 By this time she was nineteen years old and her salary for 16 ink drawings and 8 watercolors was $500 with an additional $250 for cover-illustrations. Impressed by her results this lead to more work from Penn Publishing Company, the next being for ‘Tanglewood Tales’. The family moved again in 1923 and this time they made their home in Altadena in southern California. Not long after, Sterrett got involved in the art scene of the area, however her health was now so severe that she had to stay at a rehabilitation center. She went on working yet only in less frequency. 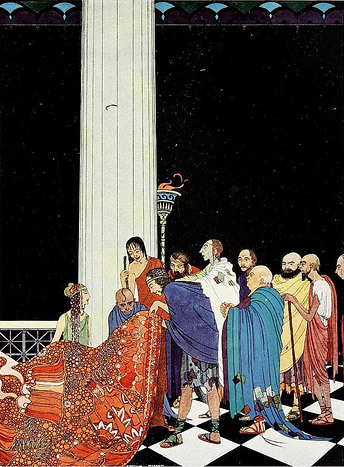 It was these days she was to illustrate ‘Arabian Nights’, another commission by the ‘Penn publishing company’. This assignment took her as much as three years to finish, much because of her illness, but the work is considered her masterpiece. 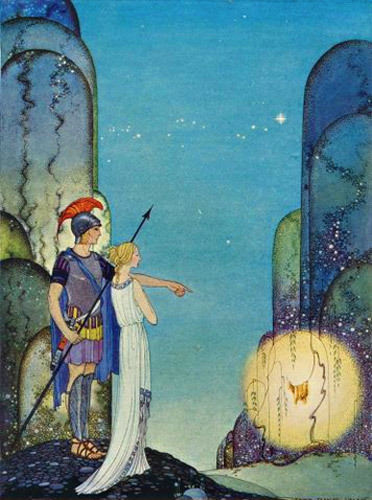 The beautiful Virginia Frances Sterrett art captured adults and children alike although no one could tell who the artist’s name was. 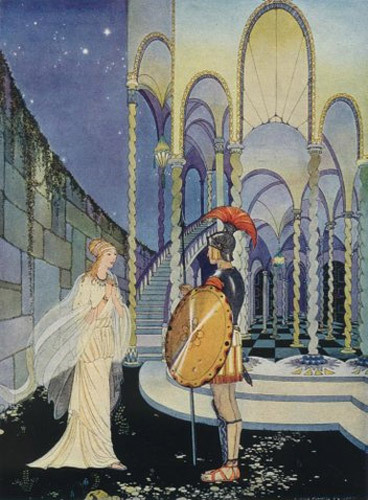 Yet the 1928 publishing of ‘Arabian Nights’ increased her recognition from a some art critics who loved her art and praised it for having delicacy, grace and imaginative conception. Hand in hand with her success in work, Sterrett’s physical health started to get better at the health center, and got informed that her disease was now halted. She could now join her family in a home and during 1929-1930 she held numerous exhibits in the ‘Little Gallery in Monrovia’, California State Fair, Los Angeles County Fair and Painters and Sculptors of Los Angeles. 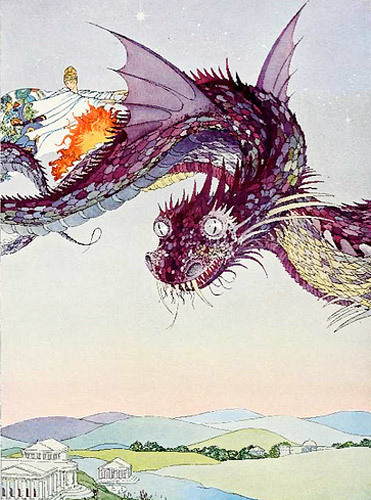 Soon after she was given another assignment from ‘Penn Publishing Company’ to make illustrations for ‘Myths and Legends’. This commission was sadly never completely finished since she passed away on June 8 in 1931 after her tuberculosis took a turn for the worse. 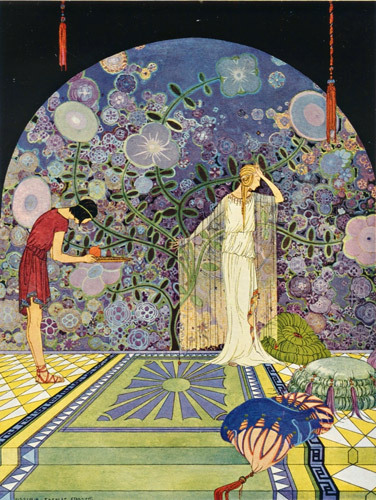 The St. Louis Post-Dispatch published an article called ‘The Girl Who Escaped from Life in Her Art’ where many of her illustrations where printed in full color along with a short biography. It was a nice tribute to her life and work which was a delicate, amazing beauty, made with pencils and brushes. Maybe the hardships she experienced in her life brought the young artist’s illustrations its stunning grace and quality. She could escape the roughness of the real world through her imagination and her art. 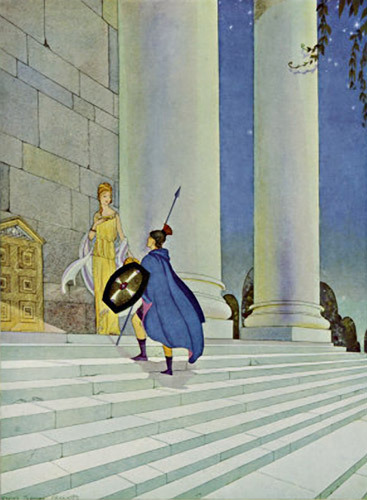 Did you enjoy this web-page about Virginia Frances Sterrett posters? Please pass it on to others using the share-tools below, or share your own thoughts in the comments section.